Panama City Beach is one of Florida’s best vacation spots! 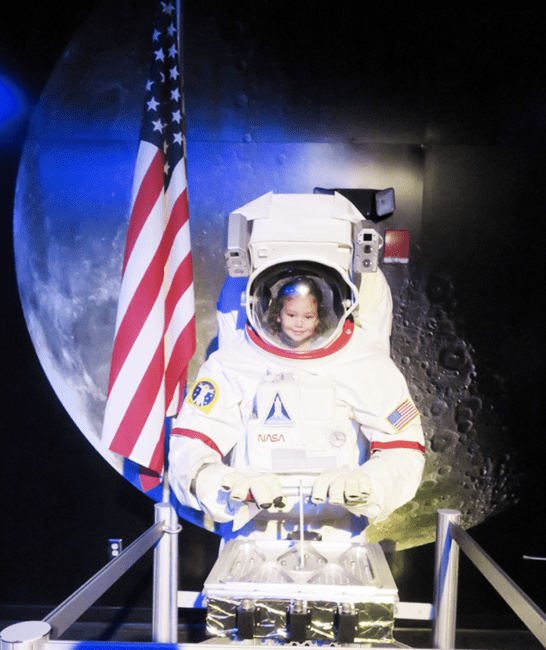 I recently got the opportunity to visit with my preschooler on a hosted media trip and we loved it! There are so many Panama City Beach attractions to choose from. With 27 miles of sandy beach, it will call your name when you visit. 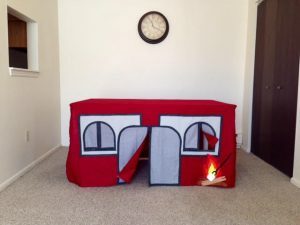 The kids will love making sand castles and jumping in the waves of the Gulf of Mexico, but on other days, the kids may want to do something else to keep them entertained. Don’t fret! There is so much more to Panama City Beach than just the beach. There are great Panama City restaurants, shopping, a waterpark, and more! 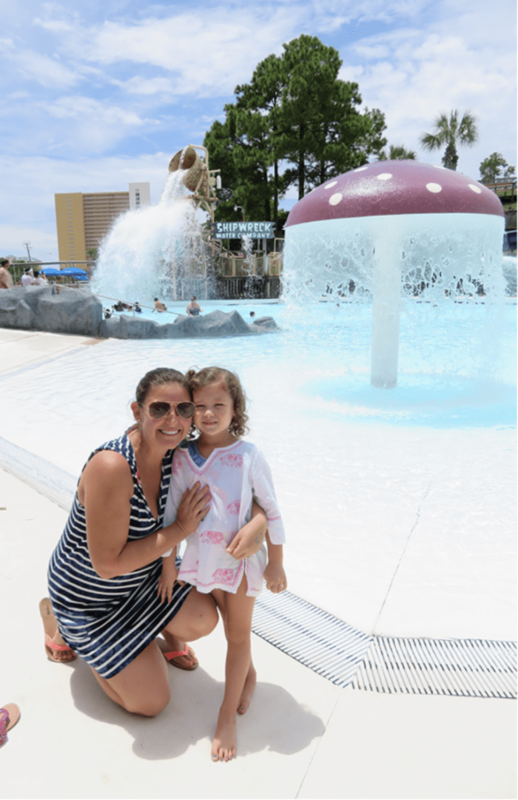 These are the 5 Panama City Beach attractions we had the most fun at with my younger daughter. I would recommend them when you visit with your family. 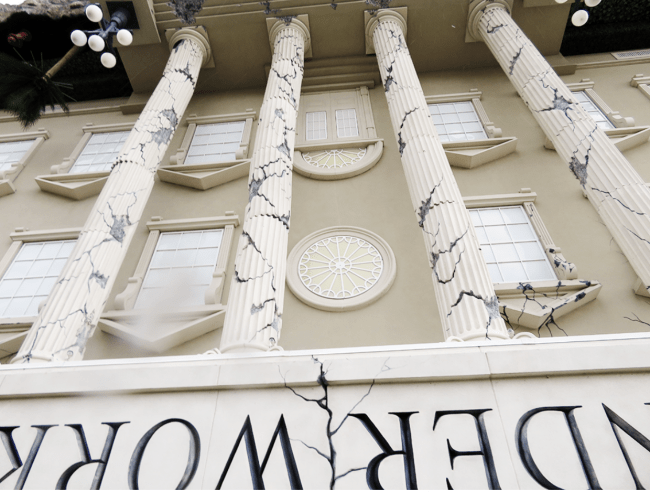 WonderWorks is an indoor museum, and all of the exhibits are hands-on and fun for the whole family! There are three floors of thrills, learning, and games. You can tell it’s going to be fun when you first walk up to the building because it looks like you are walking into an upside down museum! 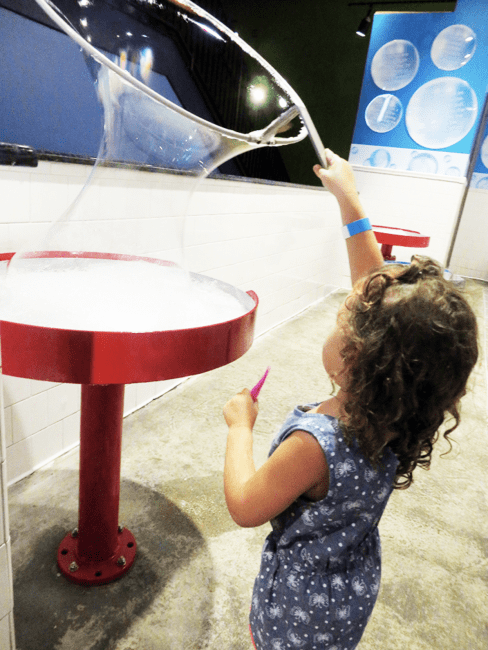 Maggie loved the bubble station where you can make giant bubbles. They had a WonderBrite station. Do you remember those Night Brights from the 80’s? 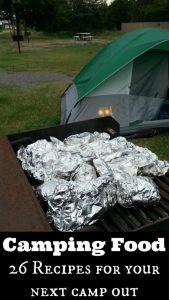 I had one and loved it. Well, this was a spin off of that only it was life size! We spent a lot of time there. They had a NASA section where you could learn about space, the space shuttle, planets and even pretend to be an astronaut! WonderWorks Panama City is open between 10AM-11PM daily. If you are looking for things to do in Panama City Beach when it rains, this is a fun place that provides HOURS of enjoyment. 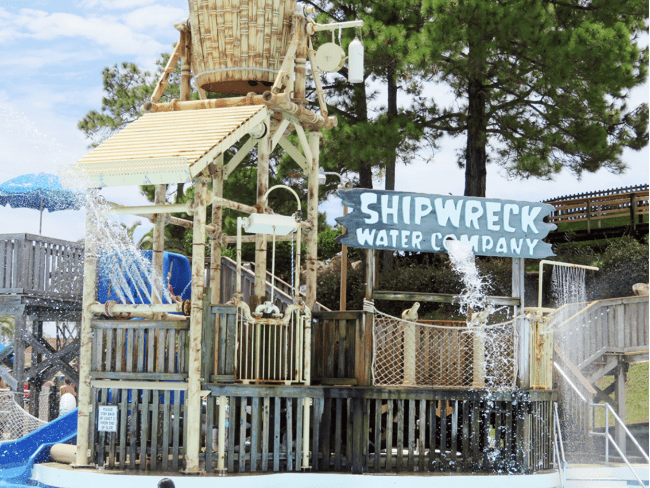 Shipwreck Island Waterpark is one of the most popular in Panama City Beach attractions in ALL of north Florida. There are so many fun slides for kids of all ages. They also have the “Ocean Motion Wave Pool” which is like being in the ocean but without the sea creatures and shells. And my personal favorite is the Lazy River. It’s 1,700 feet long and you can just ride around the slow moving water in your tube. We rode that one at least 5 times. 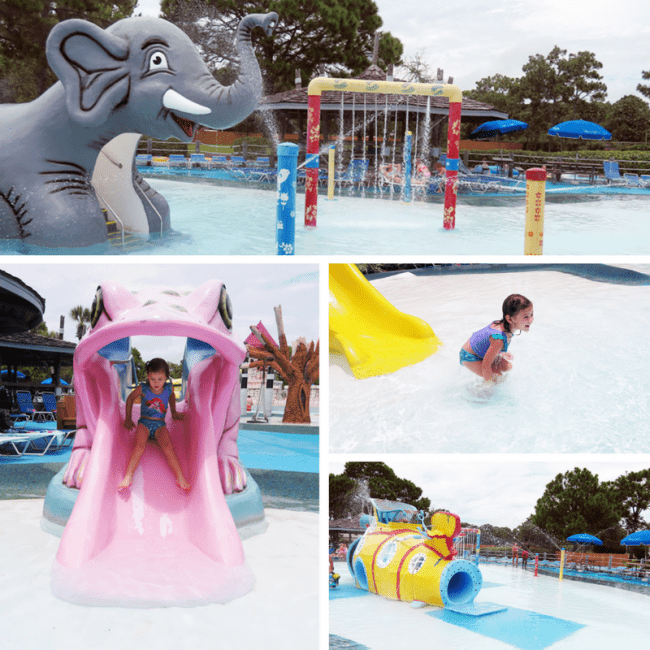 For young kids they have the “Tadpole Hole” that has a splash area with a big submarine, elephant slide, and zero entry. If you are hungry, there are lots of places to eat around the water park. They have pizza, pretzels, burgers, hot dogs, slurpees, and more! The food is very reasonably priced too. They have lockers for guests to store their valuables, and they also offer a “Splash Cash” wristband so you can just scan your band instead of pulling out your wallet. ShipWreck Island is open for the summer season. Get more information about hours and admission prices at ShipWreck Island here . 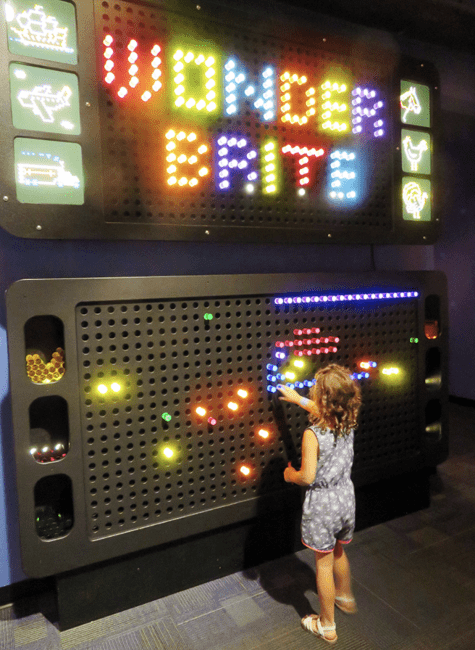 Looking for something fun to do with the kids indoors? Dave & Buster’s is a really neat arcade with everything from old school Pac-Man and Skee-Ball to new games like Million Dollar Midway and Dance-off games. The nice thing about Dave & Buster’s is that they have a new wristband where you can add money to it for games and then just tap the game you want to play. Dave & Buster’s also offers specials like ½ price games very Wednesday! They are open Sunday through Friday 10AM-midnight. 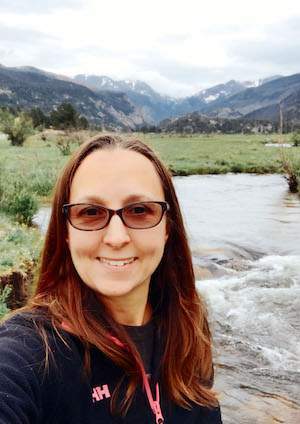 I have a love for aquariums so when we travel I always want to visit the local aquarium to check out the attractions, fish, and sea creatures. So, while in Panama City Beach we had to head over to Gulf World. 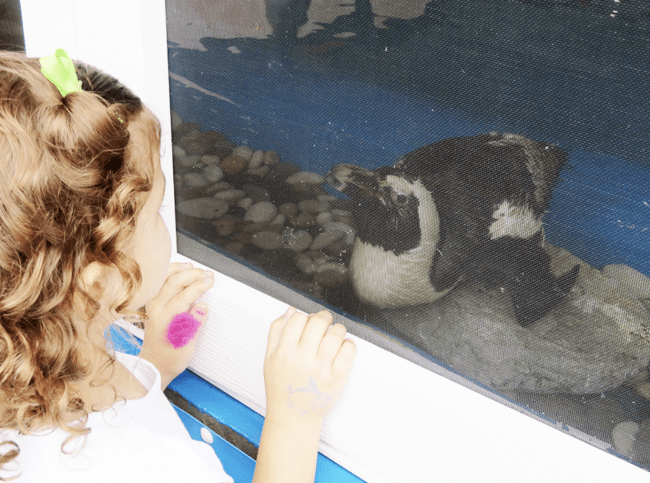 The whole family will love seeing the dolphins, sea lions, sharks, turtles and penguins…yes, penguins! That was a first for me. We got to see one of their daily shows with a rare rough toothed dolphin show and an adorable sea lion. The show was hilarious! We absolutely loved it. Gulf World is open 7 days a week rain or shine from 9:30AM-4:30PM. Get more information about admission at Gulf World Marine Park here. We went to dinner at Pompano Joe’s one evening during our visit in Panama City Beach. It is located at Pier Park, which we loved! It’s the perfect place to go for dinner and walk around before or after. There are over 120 stores here, plus a Grand IMAX Theater, restaurants and more! It was all outdoors so it was perfect for an evening stroll with the kids. It is clean and the atmosphere gives a relaxing vibe for families. Pier Park also hosts fun events all year round. Take a look at these Panama City Events for your next trip. Be sure to not miss the SkyWheel, a nearly 200 ft tall Ferris Wheel. You board a climate controlled gondolas (ride pod) and are treated to a bird’s eye view of Pier Park, the beach, and surrounding area. You can’t get this view anywhere else in PCB. It’s a fun experience among the family things to do in Panama City. 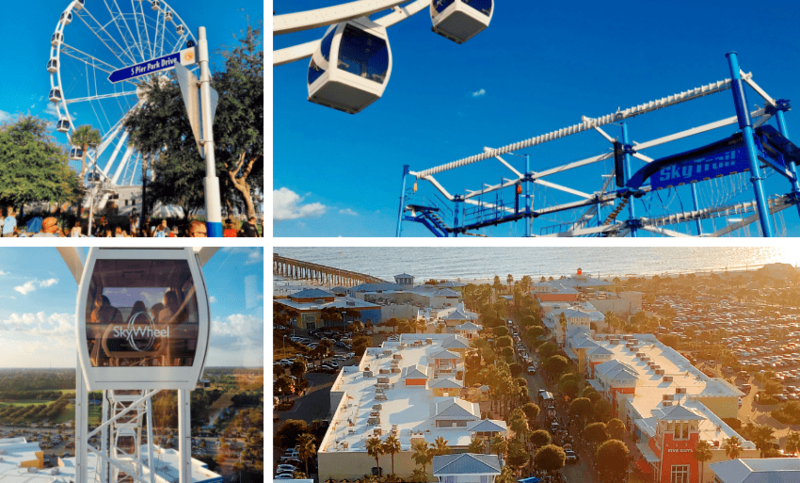 For adventurous families, you can also climb up and around the Sky Trail, and elevated ropes course adjacent to the SkyWheel. 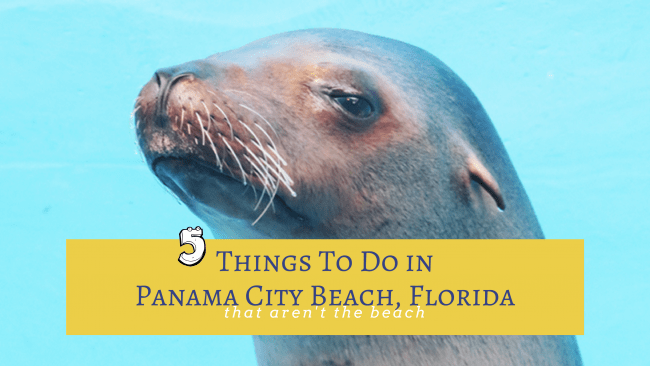 you’re planning a trip soon, also check out these other Panama City Beach articles to help make the most of your time here. Overall, our experience in Panama City Beach was highly enjoyable. There is so much to do for the whole family! These 5 family friendly Panama City Beach attractions are just a handful of the fun you can enjoy here. If you haven’t been yet, definitely add PCB to your bucket list! Thank you to Visit Panama City Beach for hosting us for a fun Preschoolers in Paradise weekend. All opinions are my own and based upon my recent experience. Panama City Beach is such a fun place to visit! These are all great places to check out when in the area!